Smart 350ml coffee plunger which is manufactured from strong, lightweight borosilicate glass and BPA free polypropylene. It is presented in a black gift box and handwashing is recommended. Colours: White, Black. Dimension: Glass: Dia 71mm x H 138mm. Print Description: 25mm x 20mm. Print Type: Pad Print. Packing: Matt black gift box. Smart 850ml coffee plunger which is manufactured from strong, lightweight borosilicate glass and BPA free polypropylene. It is presented in a black gift box and handwashing is recommended. Colours: White, Black. Dimension: Glass: Dia 100mm x H 154mm. Print Description: 30mm x 25mm. Print Type: Pad Print. Packing: Matt black gift box. Drink Items Made In China. Capacity: 350 Ml Plunger For 2 Cups | Stainless Steel Frame And Filter With Glass Body | Packaging: Plastic Bag + White Box. Item Size: 72 Mm Dia X 135 Mm. Decoration Options Available: Pad Print | Laser Engrave. Drink Items Made In China. Capacity: 8 Oz Pp Reusable Coffee Cup | European Standard Silicon Material And Bpa Free Cup | Lid With Spill Stopper Feature | Mix And Match Silicon Colours. Item Size: 105 Mm Dia X 95 Mm. Colours: Cup: Black | White. Lid & Band: Black | White | Red | Navy Blue | Orange | Green | Pink. Decoration Options Available: Pad Print | Screen Print. Drink Gift Sets Made In China. 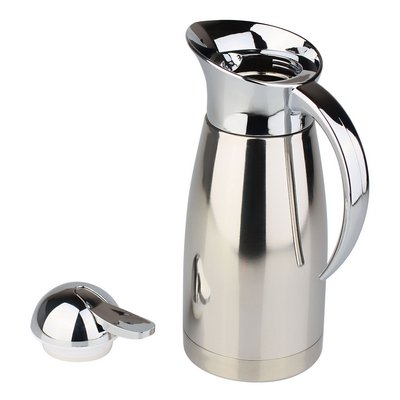 Capacity: Flask 500 Ml, Mug 250 Ml | Stainless Steel | Double Walled | Nylon Bag + Plastic Bag. Item Size: Nylon Bag Size: 180 Mm X 265 Mm X 80 Mm. Decoration Options Available: Pad Print | Laser Engrave | Rotary Screen Print. Drink Gift Sets Made In China. Capacity: Flask 500 Ml, Mug 250 Ml | Stainless Steel | Double Walled | Packaging: Held In A Moulded Sponge Liner | Smooth Semi-Gloss Black Paper Box With A White Paper Sleeve. Item Size: Box Size: 230 Mm X 315 Mm X 90 Mm. Decoration Options Available: Pad Print | Laser Engrave | Rotary Screen Print. Ashburton' Black Ceramic Coffee Mugs. Max Art Size: 200mm x 86mm, Signif: 180mm x 70mm. This coffee set features a 750ml stainless steel vacuum flask and two stainless steel travel mugs with action grips and safety lids. Supplied in a handy 600d nylon carry bag, this set will carry your logo in style. Capacity: Mug 450ml, Flask 750ml. 600d Nylon Carry Bag. Brushed Stainless Steel. Kenya plunger combines the beauty of glass with striking chrome. Holding up to 1 litre of coffee or tea, this plunger is ideal for use in the office or at home. Capacity: 1lt. Individual Box. Chrome/Black. Features: Silicone fordable coffee cup , 355ml with screw top closure.